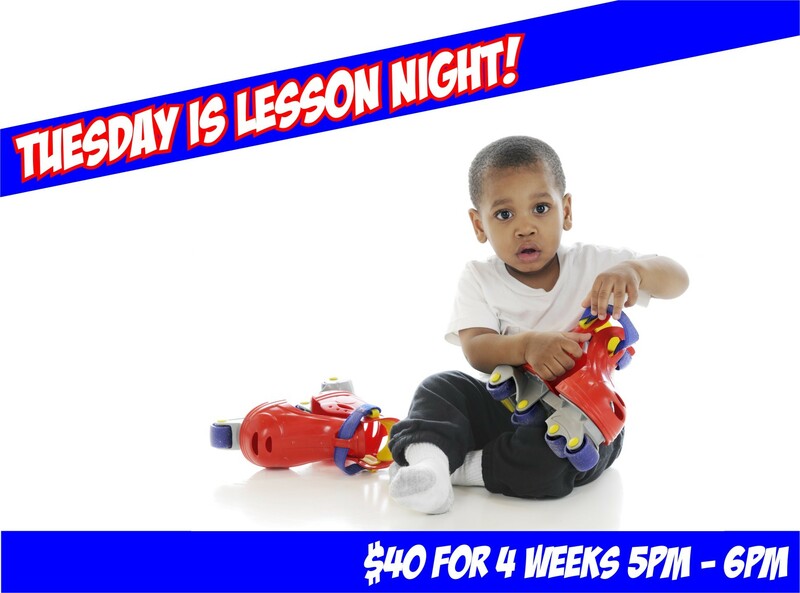 Lessons are held every Tuesday at 5 pm except holiday weeks or during school breaks. View schedule here. Each session starts at 5 pm sharp and ends at 6 pm. We suggest that you arrive at least 15 minutes early to have your skates on and ready. As a bonus, you are welcomed to stay and practice during our Family Night skate from 6 pm to 9 pm. There are four skill levels that our instructors will help you and/or child achieve. All ages welcome! No registration required. Start anytime!